What is day trading for dummies, a better question, what is day trading? Day trading is the art of buying or selling stocks in hopes of turning a short-term profit. A day trader enters each day in cash and ends the day the same way. A typical day trade can last a couple of seconds to several hours but must be closed out by or before the close of the trading day. FINRA rules define a “pattern day trader” as an individual who executes four or more day trades within five business days, provided that the number of day trades adheres to more than 6% of that individual’s total trades in a margin account for those same five business days. Individuals deemed as “pattern day traders” must have at least $25K in their accounts and can only trade in margin accounts. 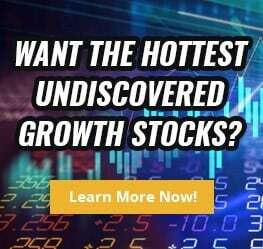 On December 15, 2017, a little-known stock by the name of Longfin Corp. (LFIN) gapped up in the pre-market after it announced that it acquired blockchain provider, Ziddu.com. Before the opening bell, the stock was up nearly 100%. That said, it opened up at $9.76 and hit a high of $26.80 that day. Imagine if you bought 1,000 shares at $10 that day and sold it at $21 later on, you would have doubled your money. But what’s even crazier is that the next day it went from $22.01 to as high as $142.81. Imagine holding 500 shares and making 100 points in less than an hour! It’s very easy to get started with day trading. All you need is risk capital, a computer, internet, and a stock brokerage account. Successful day traders have financial freedom, create their hours, and have no boss. However, day trading is one of the hardest ways to make easy money. Lack of Capital: It takes time to learn how to day trade stocks. If you open a brokerage account with a small amount of money, chances are that you will lose it all before you learn how to make money in the market. Lack of a Proven Strategy: Day traders make money by identifying market patterns that have a high probability of success. Once recognized, they must be willing to risk money before they have the chance to make. However, it takes time to find a proven strategy. Trial and error can be a costly approach. It’s best to risk small amounts of capital on trades when you’re first learning how to day trade. Poor Risk Management: If you are new to trading, how do you know which trade is right and which one is wrong. That said, new traders put too much confidence in their trades by betting a large portion of their account on the outcome of one trade. Not fully knowing what you’re doing while making large bets is an easy way to blow out your trading account. Repeating Mistakes: If you are someone who is not okay with being wrong than trading is not for you. Some traders can get away with being right just one-third of the time and still be profitable. It’s possible if their winners are significantly more massive than the losers. After a while, they can recognize what their best trades are and focus on them. New traders often make the same mistakes. The way they can limit repeating the same mistakes is by reviewing trades and then recording them in a journal. Study: As a new trader you should be curious and seeking knowledge. Of course, you should read books as part of this process. The best books are the ones that focus on trading psychology. Most books on day trading are outdated. However, learning from a mentor is one of the best ways to gain trading knowledge fast. An experienced mentor can help you avoid mistakes and teach you what is working in the markets now. If you don’t have access to a mentor than work on developing strategies through sim trading, this is an easy way to learn without risking actual money in the market. Invest In Tools: Once you’re serious about day trading, then you’ll need to decide on which services and tools you’ll need. These services will vary depending on your needs. Some services and tools that day traders subscribe to include: charting packages, trade-alert services, news services, trader chat rooms, investment newsletters, and research. Day trading often boils down to speed, having information at your fingertips is essential when you’re making split-second decisions. Join A Community: Believe it or not, most of the best day traders work in teams. Communicating ideas and developing plans in a team setting could lead to bigger profits than if you tried to do it alone. Be Disciplined: There are so many ways money to make money in the stock market. However, that doesn’t mean your personality fits all these different trading styles. For example, some stocks are riskier to trade than others. If your risk tolerance is low, then you probably want to avoid volatile stocks or trade options to limit risk. The best day traders know what their strengths and weaknesses. However, they primarily focus on capitalizing on their strengths. Being a consistently profitable day trader requires discipline and patience, something that new traders often lack because they want fast money right away. Now, these aren’t the only ways to make money from day trading, but they are among the most common. Reversals: This is a counter-trend strategy, the trader takes the opposite side of the trend in hopes that it reverses. Traders typically put this position on when they believe a stock move is extended (overbought/oversold). On June 29, 2018, Alibaba (NYSE: BABA) declined sharply on the open by four points; reversal traders found that as a buying opportunity and bought the stock, it rallied back by more than four points in less than 15 minutes. Sometimes this strategy gets a bad reputation because you are trying to pick tops and bottoms. However, stocks do overshoot, creating opportunities for both longs and shorts. Trend: A trend trader goes with the momentum. If a stock is going up, they are buying, and if it’s selling off, they are shorting. The trend trader lives and dies by the adage: The trend is your friend. On June 26, 2018, Pacific Energy Development (NYSE: PED) announced the closing of a strategic investment. The following day the stock rose sharply in the pre-market. The stock price opened at $0.40 and got up as high as $2.37 that day. Trend traders who were able to spot the trade early were able to ride the wave higher for handsome profits. News: Traders who trade the news or other types of catalysts have a couple of different approaches. One, is speed, the faster you can interpret a breaking story the better the chances you’ll be able to act on that information. Second, if speed isn’t your game, then focus on the merit of the story, whether its true or not and what the magnitude of the story means to the stock. Typically, news trading is something the professionals have an advantage. It’s unlikely the average trader from home will be to react as quickly as the professional, especially when they are competing against news reading algos. Day trading for dummies is not easy. That said, it can be the path for financial freedom for some. It will require discipline and patience, hard work, a successful mentor, and a team or community to support you.